RESPA, the Real Estate Settlement Procedures Act, regulates the disclosure of costs and affiliated business arrangements or AfBAs in a real estate settlement transaction. 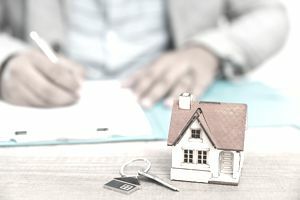 By using the lenders for their regulation, Congress was able to bypass a myriad of state laws and differing statutes relating to real estate transactions across the country. Lenders must abide by RESPA, and this effectively allows the control of the settlement process through them. The basic coverage of RESPA is "any federally related mortgage loan." Installment sales contracts, or land contracts, would also be covered if the seller taking back part of the loan is also funded by another loan on that property that is covered by RESPA. This is a mortgage that meets requirements for normal underwriting and isn't considered a jumbo mortgage in excess of a certain maximum that has more stringent requirements for guarantees. These are normally issued by banks and mortgage lenders. The Federal Housing Administration guarantees mortgage loans and also directly issues mortgages. After the crash in 2006 forward, FHA loans have become more popular because of down payment requirements as low as 3.5 percent. Other loans, particularly conventional loans, are requiring around 20 percent down payments. "VA helps Servicemembers, Veterans, and eligible surviving spouses become homeowners. As part of our mission to serve you, we provide a home loan guaranty benefit and other housing-related programs to help you buy, build, repair, retain, or adapt a home for your own personal occupancy. VA Home Loans are provided by private lenders, such as banks and mortgage companies. VA guarantees a portion of the loan, enabling the lender to provide you with more favorable terms." The United States Department of Agriculture is often overlooked as a loan guarantor, but they have a program to guarantee mortgages in "rural" areas around the country. Some borrowers can actually get into a home borrowing up to 110 percent of the appraised value of the home. These are quasi-government entities that were bailed out by taxpayers after the housing crash. They're now profitable again and securing mortgages around the country. They are by far the major entities guaranteeing residential mortgages. These entities end up with repossessed homes in their inventory and advertise them for sale on their websites with special financing available. It's a good way to get a home at a bargain with favorable financing, but they're generally in need of significant repairs. While there are many critics who placed some blame for the housing and mortgage crash on these guarantees and easy credit, others are adamant that there would be a whole lot fewer homebuyers without these programs.